Coast Funds has featured the Gwa’sala-’Nakwaxda’xw Nations in an article that looks at how the community is reclaiming its economic self-sufficiency through the establishment of the k’awat’si Economic Development Corporation. Gwa’sala-’Nakwaxda’xw Chief Paddy Walkus speaking at the grand opening of Kwa’lilas Hotel. 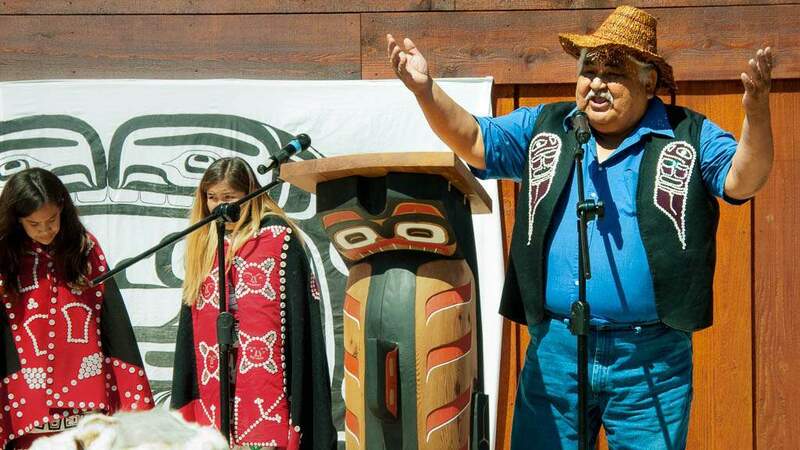 “Decades after a government relocation of two First Nations separated them from their homelands and means of subsistence, the GWA’SALA-’NAKWAXDA’XW NATIONS began developing a plan to return their community to economic self-sufficiency. Through an in-depth community consultation and planning process, the Nations developed a strategy to support its members through the creation of K̓AWAT̕SI ECONOMIC DEVELOPMENT CORPORATION. Within a few short years, the corporation has become an economic force on north Vancouver Island, operating seven distinct businesses and employing, during its peak season, over 130 employees.